Photo Credit: Lloyd’s Carrot Cake. Like so many things in our fast paced society the art of cake baking in America, dating back to the 1930’s, has been simplified. Yet there still exists an appreciation for the “made from scratch” version produced with mom’s tender loving hands. More often than not, however, our mother’s recipes are adaptations of their mothers. Those in turn are eventually bequeathed to the next generation. This is the secret to success of Lloyd’s Carrot Cake bakery in Bronx, New York. Founded by Lloyd Adams in 1986 their desserts have become wildly successful because of a recipe for carrot cake Mr. Adams inherited from his grandmother. In a country that invented the “add water and stir” cake mixes, Lloyd’s variety is a refreshing reprieve for Americans to satisfy their sweet tooth with something genuine. 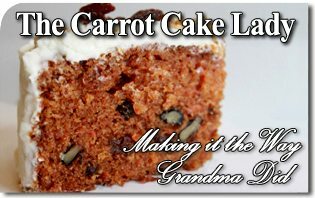 Carrot cake has been around since the early nineteenth century but its origin is often traced back to the Middle Ages. During that time sugar and other sweeteners were hard to come by, so Europeans opted for the orange vegetable as a substitute to make carrot pudding. Someone—perhaps a grandmother—had the idea of placing the pudding into an oven. 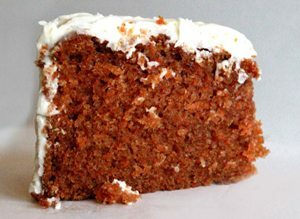 The baked product came to be known as a carrot cake. The oldest known recipe dates from 1892 to the tiny village of Kaiseraugst in Switzerland where it was very popular, especially for children’s birthday parties.1 Baking would eventually go through profound changes. In large part, the transformation in cake making can be attributed to Pittsburgh native John D. Duff. In 1930 he patented2 an idea of what would come to be known as “Cake Mix.” Mr. Duff’s recipe for pastry products was simple. Provide all the ingredients—flour, molasses, eggs, and such—in a dehydrated form and leave the cook with a simple task: add water, stir and bake. American “grandmas,” along with their unique recipes, were thus proverbially thrown under the bus. A heavenly slice of Lloyd’s Carrot Cake. Since then box mixes, with and without real eggs, became ubiquitous in supermarkets nationwide and restaurants frequently serve such varieties to their patrons. All the while Americans were left to imagine what grandma might serve. Lloyd Adams never had that problem. He savored his grandmother’s cake—the carrot version—as a boy and with a good idea he has earned fans around the world. Lloyd Adams, founder of Lloyd’s Carrot Cake bakery in Bronx, New York. Photo Credit: Lloyd’s Carrot Cake. They eventually married and opened a small kitchen in the basement of her father’s East Harlem apartment but quickly outgrew it. In April 1986 they opened their first shop in the Riverdale section of the Bronx. It wasn’t long before they had a faithful clientele. Their menu would later include such delicacies as pies, muffins and red velvet cake. It was the otherworldly carrot cake, however, which kept customers coming back in droves. Lines have been known to stretch for a city block and if you are going to stop by for Thanksgiving dessert it might take three hours to be served. 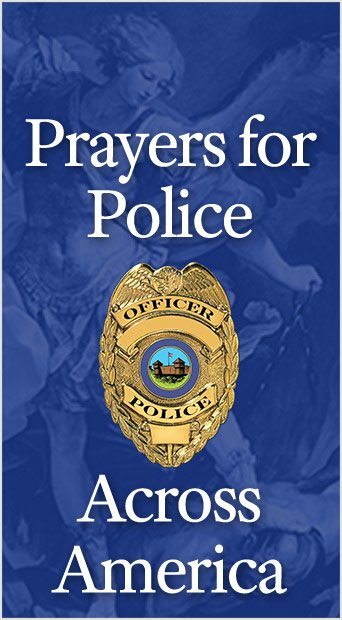 In February of 2007 Lloyd died suddenly of a heart attack. 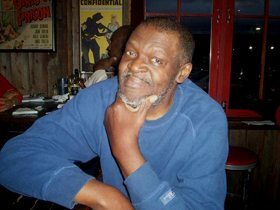 Hundreds attended his funeral and praised his contribution to their community. For six weeks the Riverdale store remained closed leaving mournful customers to fear it would not re-open. One patron, from far away Florida, left a note on the shuttered doors expressing his disappointment. Much to her patron’s relief the bakery did not close, they were merely renovating. Mrs. Adams was determined not to let her husband’s dream die with him. Six weeks later the bakery was reopened and began churning out, “70 cakes a day, using over 600 pounds of carrots and 200 pounds of cream cheese for the frosting.”8 These ingredients are actually the secret to Lloyd’s success. Their specialty cake is not just carrot in name only. Copious amounts of the vegetable go into each one, and the mouthwatering icing is made with real cream cheese not a hydrated variant. “The Carrot Cake Lady,” Betty Campbell Adams, owner of Lloyd’s Carrot Cake bakery in Bronx, New York, with Award. Fans of Lloyd’s can take consolation in the fact that the dream started by Mr. Adams and kept alive by “The Carrot Cake Lady” will continue. Their daughter Lilka, uses her marketing skills to run the bakery’s social media operations, while son Brandon is currently the store’s general manager. In our industrialized world which has affected everything, including cake baking, one cannot help but breathe a sigh of relief to know there is an alternative to Betty Crocker. Thanks to a New Yorker who felt his recipe could make it big, Americans can enjoy a handcrafted version right at home. “I’ve always had the social-science view that I could change the world,” Mr. Adams once said. He admitted the joy it brings, “to walk into a restaurant where a customer is eating a slice of cake and hear, ‘Wow, who made this carrot cake?’”10 He might not have changed the world but his cakes have most certainly traveled a good part of it. In a country commonly known for “cake mix,” the popularity of Lloyd’s “made from scratch” creations, both here and abroad, is but one more example of a paradox that exists only in America. Michael L. Goodman, Aisha S. Dickerson, Roberta B. Ness, Creativity in the Sciences: A Workbook Companion to Innovation Generation, (Oxford University Press, 2013), 189. Jennifer Bleyermay, “At the Sign of the Smiling Carrot, Grief, Then Sweet Relief,” The New York Times, May 13, 2007. Winnie Hu, “A Tiny Bronx Bakery Churns Out Carrot Cakes That Travel the World,” The New York Times, 4/10/16.